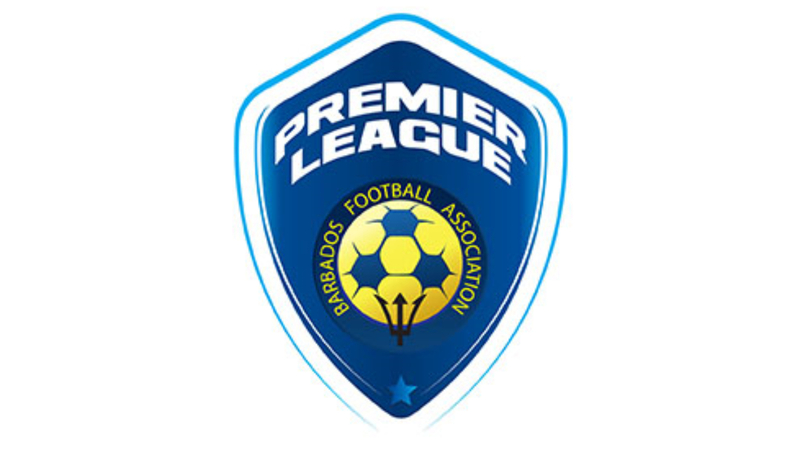 Sixteen goals, a debut win and a dynamic derby, decorated the second week of action in the Barbados Football Association (BFA) Premier League. Neighbourhood Care Pharmacy Weymouth Wales dismantled and dismissed Mark’s Auto Spares Porey Spring in a 7-0 thumping. 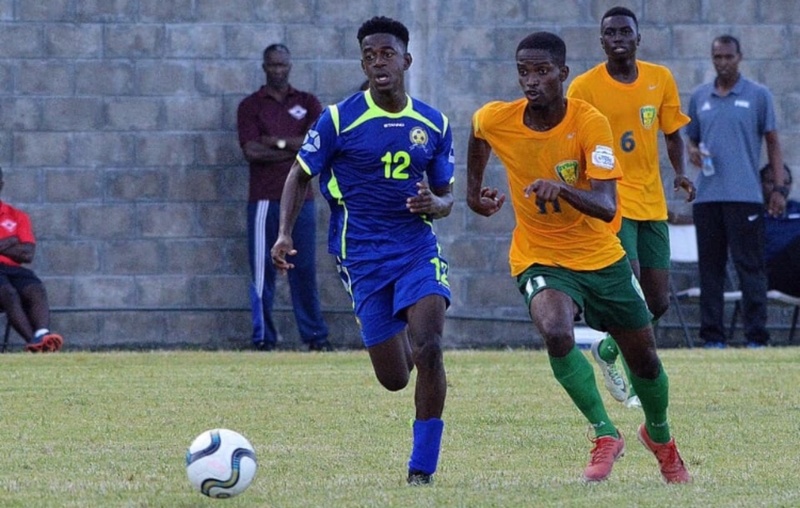 New boys, the Barbados Soccer Academy (BSA) registered their first Premier League victory as they came from behind to defeat the University of the West Indies (UWI) 2-1. Claytons Kola Tonic Notre Dame and neighbours Brittons Hill shared the points in a six-goal thriller. Outstanding performers in these encounters make up our second edition of the Team of the Week (TOTW). Goalkeeper: Christopher Wilson (BSA)- the Jamaican international displayed tremendous bravery and athleticism as he kept his team in the game with some fine saves, ones that eventually assisted his team to their debut Premiership victory. Right Back: Rickneco Marshall (Notre Dame)- the teenage defender showed maturity with positioning and play in the derby. He was impactful on both sides of the ball and was a part of the Dames’ first goal. 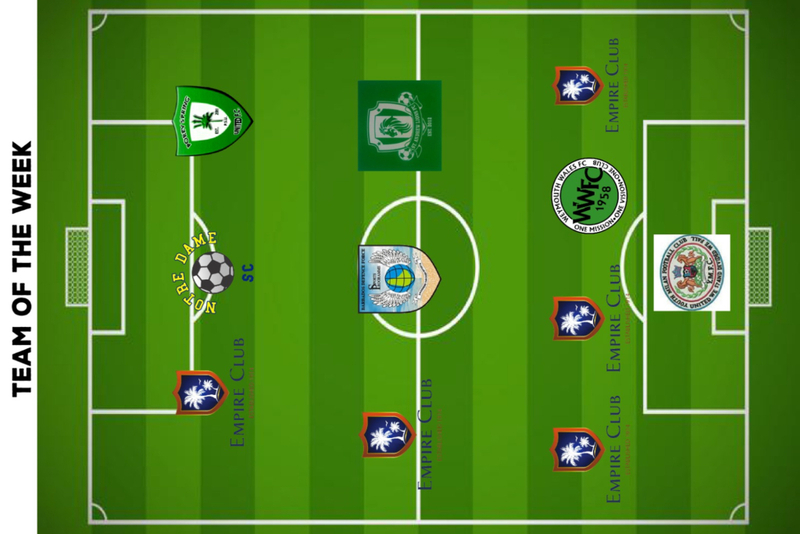 Right Center Back: Ramar Millar (Wales)- a commanding performance by the national team center half. His poise under pressure and distribution were valuable weapons for his team as they easily destroyed their opponents. Left Center Back: Ricardio Morris (Wales)- his international experience showed against Porey Spring, as he organized well, positioned intelligently and range of passing was at a high standard. Left Back: Alvin Chapman (UWI)- the former national wingback got his team off to an impressive start when he headed them in front against BSA. He was powerful and mobile in attack, often supporting the attackers when required. Right Midfield: Ray Snagg (Wales)- the Vincentian international has seemingly settled into life comfortably at his new club, scoring two of their seven goals and contributing to a couple of others. Center Midfield: Romario Harewood (Wales)- another magical performance by the midfield magician. His two goals were just the trophies for another stellar display by Harewood, whose second goal was a 40-yard blast and a Goal of the Season contender. 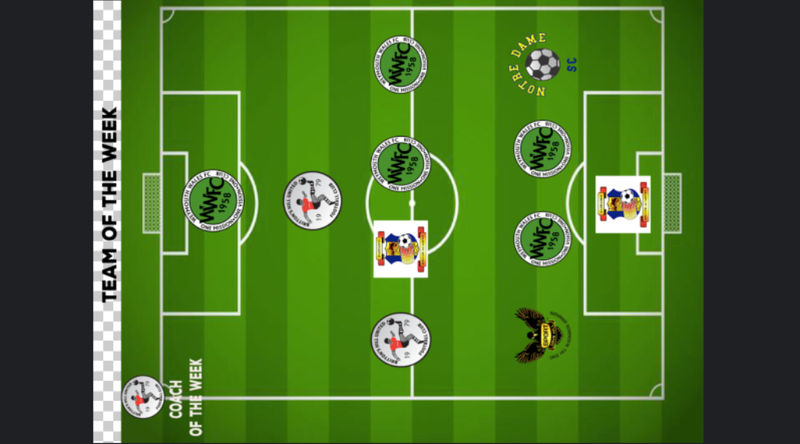 Center Midfield: Jamile Goodman (BSA)- another CARICOM national makes this week’s TOTW. 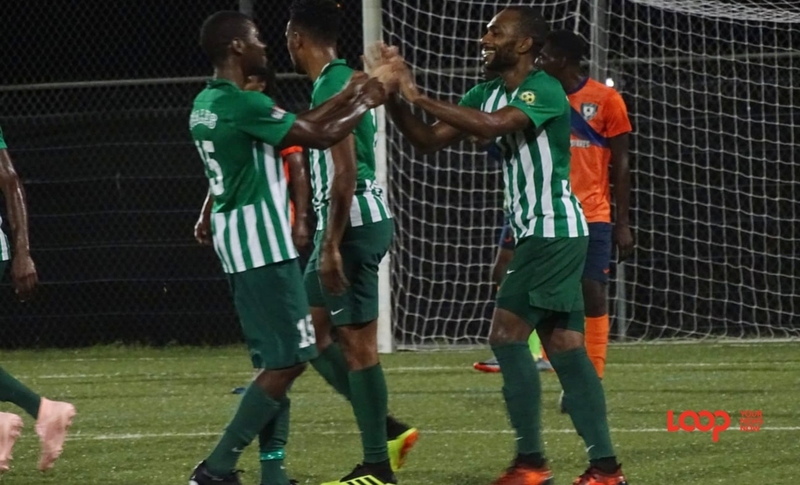 The St. Lucian’s two goals saw BSA come from behind to edge favourites UWI 2-1. Left Midfield: Romario Small (Britton's Hill)- Small debuts in the TOTW thanks to his role in staging a massive comeback for Brittons Hill against rivals Notre Dame. His goal started the rival and his assist resulted in the equalizer. Center Attacking midfield: Tristan Alleyne (Britton's Hill)- his season-long loan at Compton last season paid off as the young attacker has scored two goals in two matches, with both goals (Porey Spring & Notre Dame) proving to be important equalizers and lifesavers.